Last week our Hearthstone player William “Firrlo” Sjöblom attended NärCon Sommar 2016 in Sweden. This tournament acted as a qualifier for the International e-Sports Federation World Championship. The tournament started with a Swiss format group stage where Firrlo made his mark on the tournament, completing the stage with 5 wins, no losses. In round 2 he had a nail biting game against HenkiPie, but after falling behind 2-1, he was graced with two favorable match-ups to take the lead and win the game 3-2, holding onto first place in the groups. The knockout stages is where things really started to heat up as they were single elimination best of 5 matches. 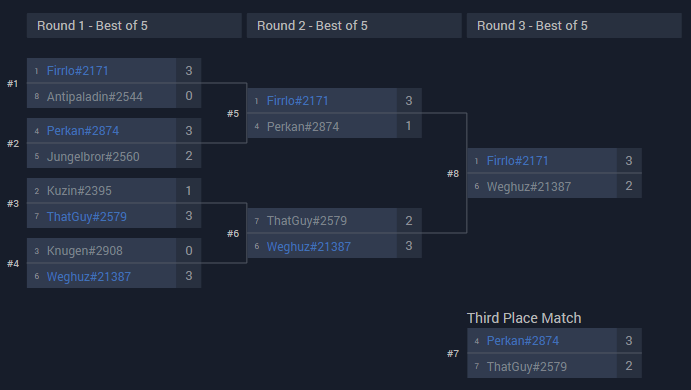 His first game was against Antipaladin which Firrlo won with a convincing 3-0 victory pushing him forward into the semi-finals to face Perkan. The semi-final match-up didn’t go as smoothly as the quarter finals as Firrlo did drop one game but still came out ahead with a 3-1 scoreline. With just one game standing between Firrlo and a trip to IeSF Jakarta 2016, the pressure and nerves started to build as this is the biggest moment in his esports career. He overcame these nerves though, and in a close fight to the end, claimed first place with a narrow 3-2 scoreline. This victory means Firrlo will be jetting off to Jakarta, Indonesia in October to compete at the International e-Sports Federation World Championship.